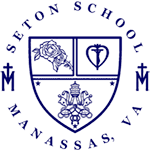 Want to share some of the beauty of Seton with friends and families? 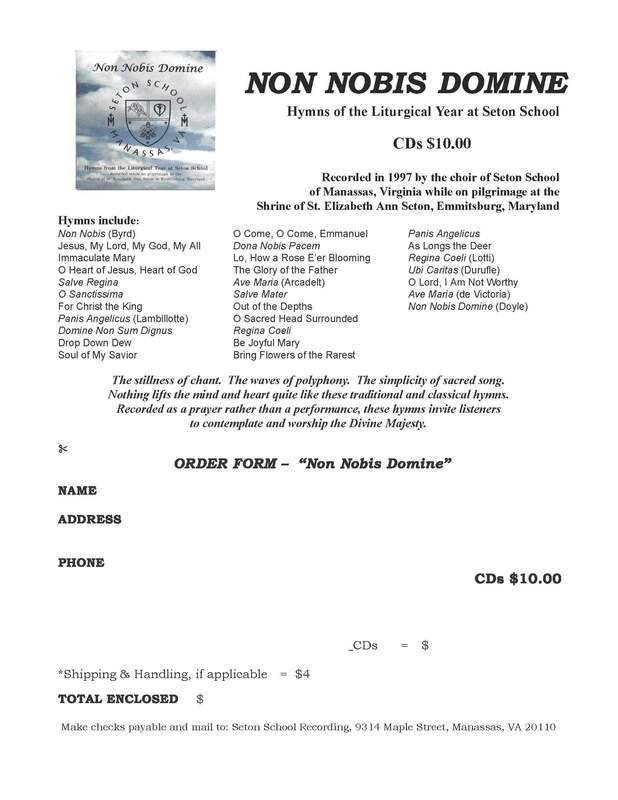 We are once again making available the Seton Choir C.D., recorded by the Seton choir in 1997 at the St. Elizabeth Ann Seton Shrine in Emmitsburg. This beautiful C.D. takes the listener through the liturgical year with Seton, including Advent, Lent, Easter, May Crowning, and of course the “Army of Youth” anthem for Christ the King. If you pick up your order at the office or have it sent home with your student, there is no charge for shipping. Click on the order form above.